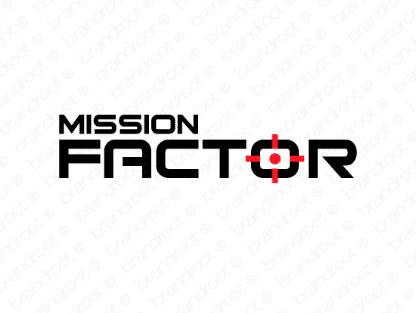 Brand missionfactor is for sale on Brandroot.com! Combining "mission" and "factor", has a driven character that's always focused on getting the job done. Missionfactor is a smart match for educational services, logistics companies or inventive new technologies for automation and productivity. You will have full ownership and rights to Missionfactor.com. One of our professional Brandroot representatives will contact you and walk you through the entire transfer process.